I have just undertaken and completed the above course, and how very challenging it proved to be! 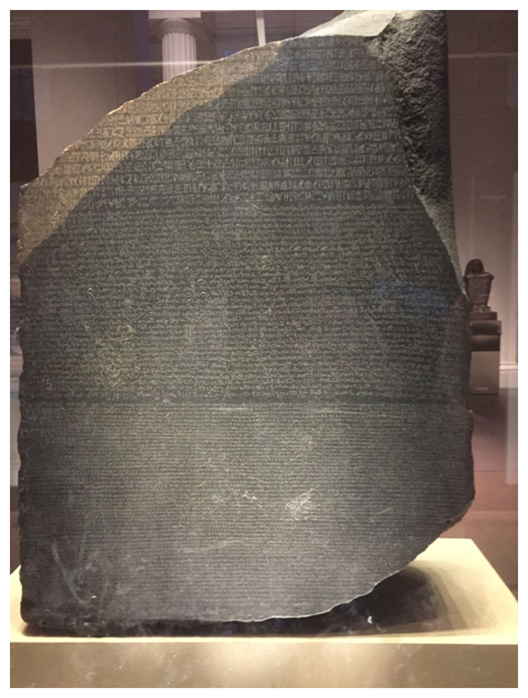 Maiken put together a great course, and even though a complete novice in the subject, I enjoyed it, learned and lot; and above all, realised how very complicated are Egyptian Hieroglyphics – and how very much more there is to learn!! I take my hat off the all those who can read and understand the texts. 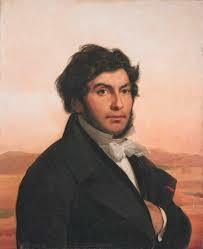 I especially raise it to Jean-François Champollion, who in 1822, using the then recently found Rosetta Stone, (written in 3 different languages: ancient Egyptian Hieroglyphics, ancient Egyptian Demotic, and classical Greek) was finally able to finally break the secret of Egyptian hieroglyphs. 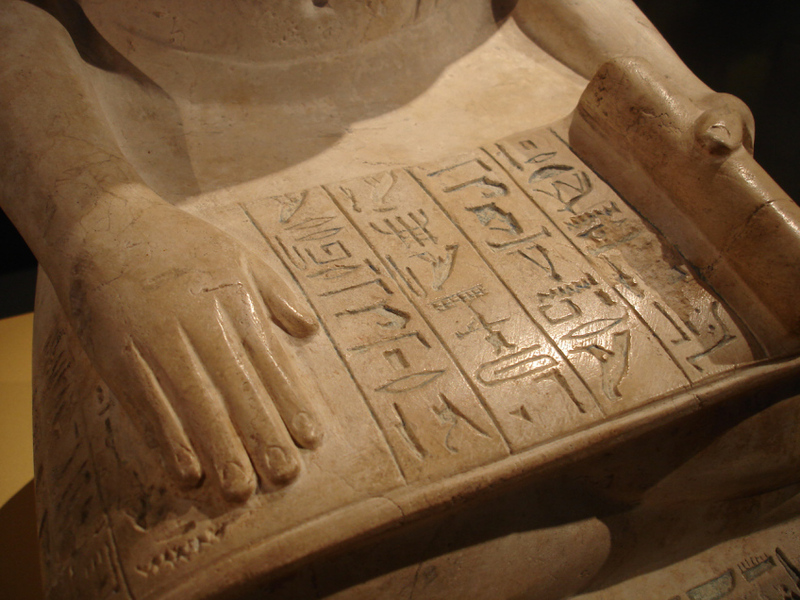 Building on some of the texts interpreted by other early linguists, and using his extensive knowledge of languages, including Greek and ancient Egyptian Coptic, Champollion finally succeeded in breaking the code of hieroglyphics – a lost language for around 2000 years. Incredibly, only 2 years later, he published ‘Summary of the Hieroglyphics System’, and the world could finally begin to translate, interpret and understand the fabulous, long-lost world of ancient Egypt! Clearly the world of Ancient Egypt owes a great deal to those early people, and especially to Jean-François Champollion! Well done, that man!! This entry was posted in The Kemet Klub, University of Bristol. Bookmark the permalink.